St Andrews has become known as the “Home of Golf”, with golf having been played there for at least 400 years. I’m fortunate enough to have this hallowed turf on my doorstep so I thought I’d post some of my images from there. This is a view down the road that runs next to the 16th fairway. 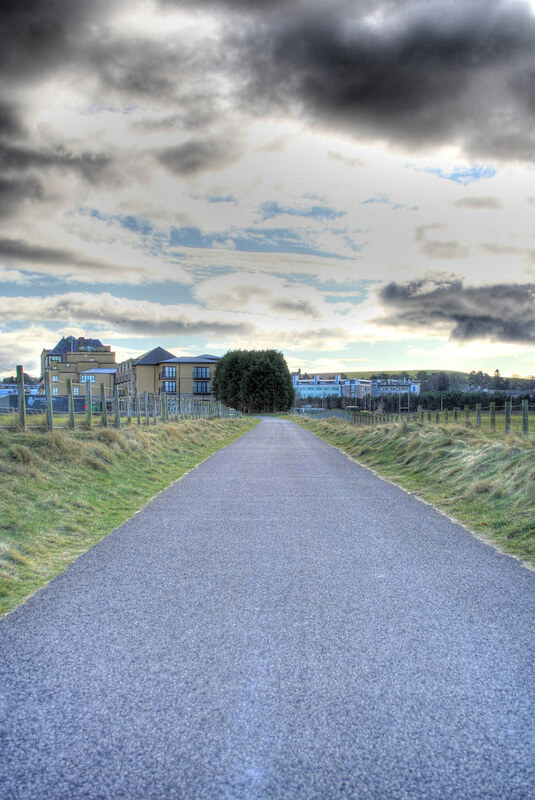 The Old course hotel, (nothing what-so-ever to do with the golf course by the way) is the building in the distance. The hotel is sitting on the site of the old railway loading yard, with the road being where the tracks ran. If your interested in more about St Andrews golf, then there is no better place than the St Andrews Links Trust website. The Trust manages and maintains the 7 courses at St Andrews. This entry was posted in Scotland, St Andrews and tagged 2010, fife, Golf, golfing, old course, Scotland, St Andrews, the open, tom morris. Bookmark the permalink.